Mark Dooher is a prosperous San Francisco attorney and a prominent Catholic, the last person anyone would suspect of a brutal crime. But Dooher, a paragon of success and a master of all he touches, is about to be indicted for murder. Charged with savagely killing his own wife, Dooher is fighting for his reputation and his life in a high-profile case that is drawing dozens of lives into its wake--from former spouses to former friends, from a beautiful, naive young attorney to a defense lawyer whose own salvation depends on getting his client off. 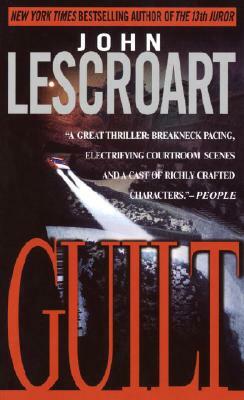 John Lescroart is the author of ten novels, including The 13th Juror, Dead Irish, The Vig, A Certain Justice, and The Mercy Rule. He lives with his family in California. "A great thriller: breakneck pacing, electrifying courtroom scenes, and a cast of richly crafted characters." "A well-paced legal thriller...one of the best in this flourishing genre to come along in a while." "Begin [Guilt] over a weekend...if you start during the work week, you will be up very very late, and your pleasure will be tainted with, well, guilt."